^Based on 2018 EPA mileage ratings. Use for comparison purposes only. Your actual mileage will vary depending on how you drive and maintain your vehicle. **Based on NHTSA's 5-Star Safety Ratings. Are you looking to upgrade to a vehicle that’s perfect for your modern family? If so, then you’ve probably considered the 2018 Honda Odyssey and the 2018 Toyota Sienna. Both of these popular vehicles offer flexible seating and cargo configurations, fantastic fuel efficiency and feature plenty of smart technology designed to provide endless protection and safety on the go. 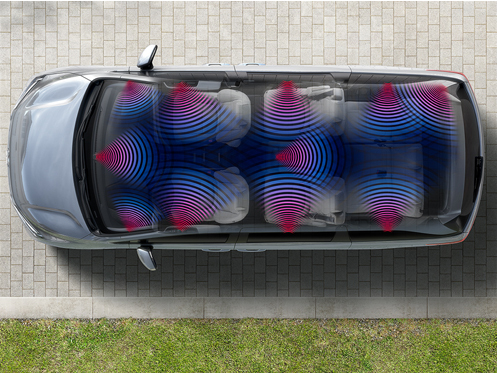 However, check out the information below to see why the new Odyssey is not just a minivan, but a personal oasis on wheels for the whole family. 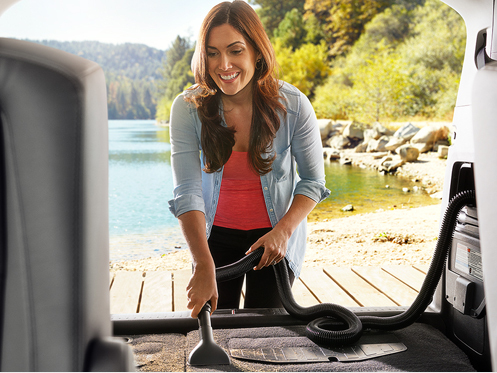 Thanks to clever and convenient flexibility, the Odyssey can easily adapt to any adventure near or far. Whether you need more passenger room or increased cargo space, the possibilities are endless thanks to the One-Motion 3rd-Row Magic Seat® and available Magic Slide 2nd-Row Seats™ making your life on the run as easy as possible. Say goodbye to the dreaded “are we there yet” question thanks to numerous technology features designed to keep the entire family content for the duration of the trip. With an impressive array of standard and available features like Bluetooth® wireless technology, Apple CarPlay™, Android Auto™ and a Rear Entertainment System, there’s something for everyone for the long road ahead. You can leave your cares behind and rest assured your precious cargo is protected on the road courtesy of the advanced safety features working overtime to keep you safe from life’s unexpected moments. Equipped with numerous intelligent safety technologies like a multi-angle rearview camera and the available Honda Sensing® suite, you can enjoy peace of mind everywhere you go. If you’re looking for a family-friendly, kid-approved vehicle perfect for your everyday adventures, look no further than the 2018 Honda Odyssey. When it’s time to upgrade, choose Honda Kingsport for an exceptional car-buying experience. We offer a complimentary Lifetime Warranty with unlimited time and miles here at Honda Kingsport so you can leave your worries behind when you choose us for your new vehicle. You shouldn’t have to settle for a vehicle that isn’t your perfect match. Thatâ€™s why we feature our “Love It or Leave It” pre-owned vehicle exchange policy where you can return your vehicle within five days if you’re not 100% in love with it. We can’t wait to get you behind the wheel of your dream vehicle. When you choose Honda Kingsport, we’ll get to work right away so you can drive home your new vehicle in as little as 45 minutes! You can enjoy around-the-clock protection thanks to our Platinum Protection Plan, featuring roadside assistance and much more! If you’re interested in driving home a new 2018 Honda Odyssey, give us a call or stop by Honda Kingsport at 2217 East Stone Drive, Kingsport, TN 37660 for a test-drive today. We look forward to serving our customers from Bristol, Johnson City and Greeneville, TN.